Ever since Donald Trump signed the xenophobic travel ban that has wreaked devastating effects on immigrant and refugee travelers, the country has erupted in a spectrum of protests. 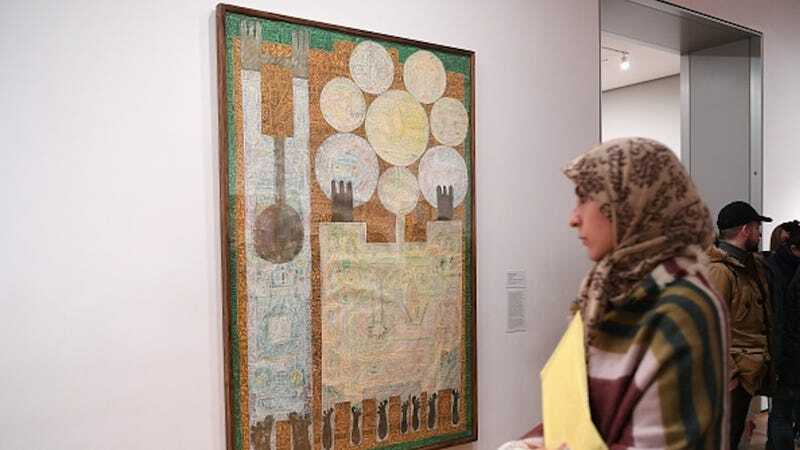 The Museum of Modern Art is participating by shelving some of its most iconic Western pieces and replacing them with work by Iranian, Sudanese, and Iraqi-born artists. The ban blocks travel from these three nations, as well as from Syria, Libya, Somalia, and Yemen — all predominately Muslim countries. Now works by Sudanese painter Ibrahim el-Salahi, Iraqi-born architect Zaha Hadid, and five different Iranian-born artists are prominently displayed where Picasso, Matisse, and other Western canon heavy-hitters are typically found. Thanks to federal judge James Robart, Trump’s ban cannot currently be enforced. However, this stay is only temporary, and we should be prepared for the administration to fight it with vehemence.